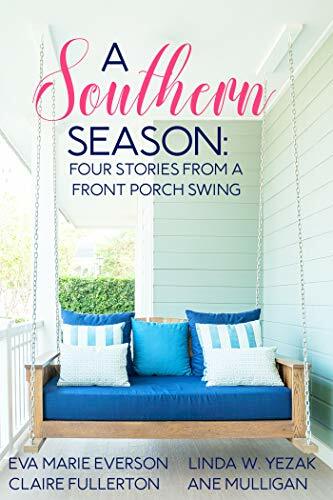 Genre: Inspirational Southern/Women's Fiction Four seasons. Four stories. Each one set in the enchanting world of the South. These are the kinds of stories your grandmother told you from a front porch swing. With the untimely death of his wife, Dr. James Gillespie believes God has abandoned him. He also believes he's never met anyone like the young widow Lillie Beth, whose beloved Granny lies dying at home, and who sees a God who sweeps hope through a farmhouse window. Can a young woman whose husband died in Vietnam restore a faith that is all but dead. With Broadway stardom within her reach, Morgan James returns home in winter to help an old friend. Maybe it s just nostalgia, but when she sees him again, an old flame rekindles. When she's called back to NYC to take the lead in a new musical, will fame be worth losing the man she loves? “How are you, Mama? Is Daddy still treating you like a queen?” I leaned against the two-foot long kitchen counter. Affordable Manhattan apartments were miniscule compared to ... anywhere, but especially to home. I heard a “but” in her voice. Between roles? Uh, yeah. Way between. I hadn’t played so much as a walk-on since September and it was now November. I actually had to take a second job to pay my rent, which was due in—I flipped a calendar page on my tiny fridge—two days. I stifled a groan so Mama wouldn’t hear. “Andy?” My heart did a little flutter. How long had it been? Over four years, and his name could still send my pulse to racing. “No, you didn’t tell me. I wouldn’t have forgotten something like that. Wait a minute ... did he leave the band?” Another thought hit me like a wrecking ball. “Did he get married?” I swallowed my heart as I waited for her answer. That last bit of news zipped a delicious shiver down my spine. Andy. My college leading man. He always encouraged me to reach for the stars, telling me God had gifted me and I should use that gift for His glory. At the time, I sort of hoped he’d ask me to stay—and I would have. Three years to make it to the top. That’s what I thought. How could I tell him that even stretching on my tippy toes, my touch never reached a single star? 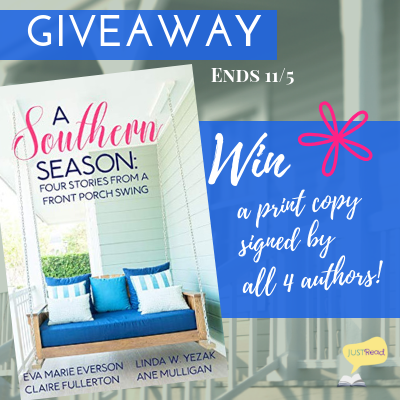 Ane Mulligan (A Magnolia Blooms in Winter) writes Southern-fried fiction served with a tall, sweet iced tea. She's an award-winning, multi-published novelist and playwright, who believes chocolate and coffee are two of the four major food groups. 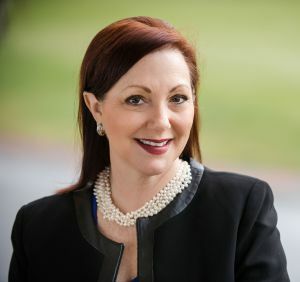 Felicia Stewart Morgan is a woman who is about forty years of age. She is married to Jackson Morgan, a man she has loved since they were high school sweethearts. They have three children--Sara, 19, Travis, 14, and Hank, 7. All three children came as surprises and all three interrupted Felicia's plans for higher education. Still, she loves them dearly--that love is the one thing in life she is sure of. Jackson Morgan left UGA midway through a four-year degree after his father dies unexpectedly. Jackson nearly worshipped his father whose business--an auto parts store in a small Georgia town--meant everything to him. Jackson cannot bear the thought of losing both his dad and the family losing the business, so he drops out of school. In time, he makes the business more successful than his father ever dreamed of, including expanding the business to other locations. Felicia and Jackson appear to have a rock-solid marriage. He is as handsome as she is beautiful. Their children are thriving, they live in a beautiful home, they both work jobs they enjoy. But underneath the façade, a root of unforgiveness grows in Felicia's heart. 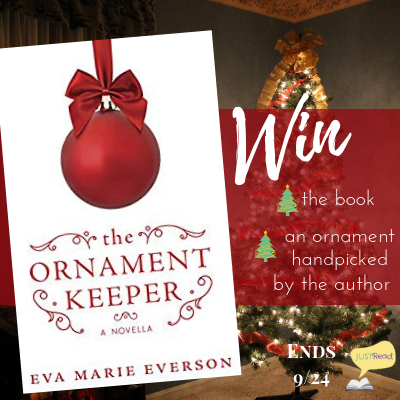 And this Christmas, for the Morgan family, is different than the others before … this Christmas, Jackson and Felicia are separated and neither of them can figure out why. 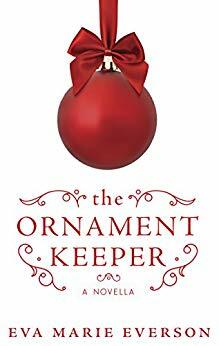 As Felicia opens up the special ornaments given to her over the years by Jackson, the story of their marriage is revealed and Felicia finds herself coming to understand just how powerful unforgiveness--even over the smallest things--really is. I absolutely adore Christmas! My mother did, too … so having her ornaments and do-dads places here and there in the home brings her all the more closer to me. I put up four trees filled with special ornaments. I also have an antique wooden bowl (that my great-grandmother used for making bread) in the center of the dining room table which is filled with ornaments from my mother's collection (that I couldn't fit on the trees). Placing it on the table is almost a ritual, done with absolute love and care. I play a lot of holiday music at Christmas … starting the day after Thanksgiving. And I enjoy hot cups of apple cider. One of the most important traditions for me, however, comes during the years when I am able to return to my hometown of Sylvania, Georgia. Shopping in the stores with my best friend, Carla … seeing the sites from my childhood … breathing in the cold air … saying "Merry Christmas" to those who shaped my childhood … but most especially, attending the Christmas Eve candlelight service with my brother. These days are so precious to me, especially as I become older, knowing they are now rare gifts.